A Certified Pre-Owned BMW comes with more than just the thrill of owning the Ultimate Driving Machine®. It comes with the certainty of a comprehensive, unlimited mileage warranty and the confidence of knowing that you didn’t sacrifice performance for price. THE ONLY THING BETTER THAN A PRE-OWNED BMW? A CERTIFIED PRE-OWNED BMW. 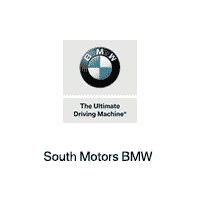 Why should you buy a Certified Pre-Owned BMW from South Motors BMW? Certification Process: In order for a BMW to become Certified Pre-Owned, it goes through a comprehensive certification process that includes rigorous criteria and meticulously performed procedures. And to even be eligible, it must be a late-year model with no more than 60,000 miles on the odometer. BMW Certified Pre-Owned: Covers you for 2 years/50,000 miles* whichever comes first, after the expiration of the 4-year/50,000-mile New Vehicle/SAV Limited Warranty for a total of 6 years/100,000 miles. * This includes up to 6 years of 24/7 Roadside Assistance and BMW Assist™ Emergency Call, which includes automatic collision notification, and TeleService. BMW Certified Pre-Owned Elite: These are newer model year, lower mileage (more than 300 miles but less than 15,001 miles) vehicles. This warranty covers you for 1 year/25,000 miles* after the expiration of the 4-year/50,000-mile New Vehicle/SAV Limited Warranty or for a total of 5 years/75,000 miles. * For Certified Pre-Owned vehicles retailed on or after January 1, 2014, up to 5 years of BMW Roadside Assistance and BMW AssistTM Emergency Call, which includes Automatic Collision Notification, and TeleService are included. The Certified Pre-Owned BMW Protection Plan and the BMW Certified Pre-Owned Elite Protection Plan provide specific coverage against defects in material and workmanship; the plan is not a Maintenance Program or an extension of the original 4-year/50,000 mile New Vehicle/SAV Limited Warranty. There are various items that are not covered by these warranties. *Whichever comes first. See your BMW Advisor for details. BMW Roadside Assistance: From a dead battery or lat tire, to lock-out service, towing service and emergency valet service, BMW Roadside Assistance provides you on-the-road assistance 24 hours a day, 365 days a year — even when someone else is driving your BMW. Also, BMW Roadside Assistance service representatives are always on hand to provide you with free, easy-to-read maps and directions. And for even greater peace of mind, BMW Certified Pre-Owned vehicles come with BMW Assist™ Emergency Call feature, which includes automatic collision notification and TeleService for the duration of Certification. Finance and Special Offers: BMWSF and BMWFS Financial Services provides you with attractive financing options. And right now, you can also choose between two exceptional offers on any Certified Pre-Owned BMW.